What’s New for the 2013 Nissan Murano? The 2013 Nissan Murano gets new optional safety features like blind-spot warning and Moving Object Detection, plus a new SV Value Package. 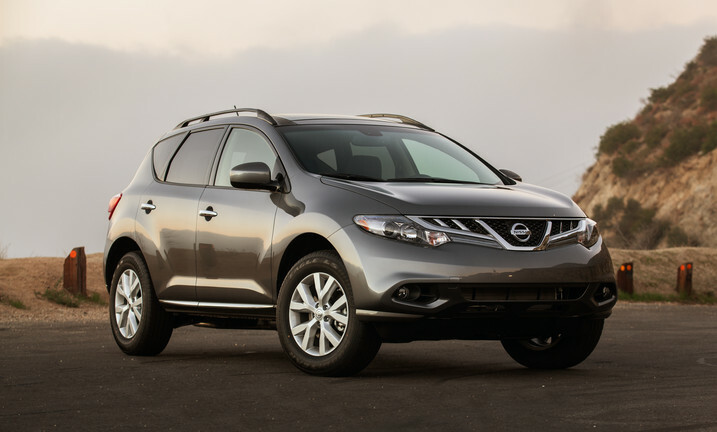 The 2013 Nissan Murano is proof that Nissan knew how to create a timeless design from the beginning. Despite an exterior that has only slightly changed in more than a decade, the Murano still feels fresh. Its sweeping headlights enclosures, high beltline, and athletic rear with twin exhaust outlets all help contribute to a sporty profile. The 2013 Nissan Murano is powered by a 3.5-liter V6 that produces 260 horsepower and 240 pound-feet of torque. The engine is mated to a continuously variable automatic transmission (CVT) with either standard front-wheel drive or available all-wheel drive. It’s rated to tow up to 3,500 pounds. The 2013 Nissan Murano gets 18 mpg city/24 mpg highway and 20 mpg combined with front-wheel drive, and 18/23/20 with all-wheel drive. The 2013 Nissan Murano’s interior stands out for its quality of design and materials. Both the front and rear seats are supportive and wrapped in leather which might as well have been borrowed straight from Nissan’s Infiniti luxury brand. With the rear seats up, the cargo area’s 31 cubic feet of storage is spacious. With the seats down, that space doubles and becomes enormous. The 2013 Nissan Murano comes standard with antilock brakes, traction and stability control, active front head restraints, front-seat side-impact airbags, and full-length side curtain airbags. It received the highest possible score of “Good” in the IIHS’ front-offset and side crash tests, and 4 out of 5 stars for Overall Vehicle Safety in government crash tests.